In these ESL lesson plans for adults and teens, students watch a video and do a listening exercise about a marijuana course at Oaksterdam University. It includes discussion questions and conversation activities about marijuana and universities. Students also learn some important vocabulary terms related to these topics. The grammar exercises feature the difference between say vs tell, and informal contractions (cuz, kinda, gonna, etc). In the cooperation activity students can give a presentation, write reviews, or create a new course topic. Whoever thought the day would come where you could study marijuana in college? A reporter goes inside 'Oaksterdam University' where you learn about and hear about a range of marijuana-related topics as well as what exactly goes on inside a school like this. In these ESL lesson plans for adults and teens, students watch a video and do a listening exercise about a university that offers a video gaming program. It includes discussion questions and conversation activities about video gaming and esports. Students also learn some important vocabulary terms related to these topics. The grammar exercises feature present simple (positive & negative sentences), expressions (make & take), and modal verbs (can / could / be able to). In the cooperation activity students can have a role play, make a report, or give a presentation. Robert Morris University is the first to offer scholarships to top video gamers. While many people see video gaming as just a hobby, others say that it takes a lot of hard work to become a good gamer. In these ESL lesson plans for adults and teens, students watch a video and do a listening exercise about a graffiti artist from Bulgaria. It includes discussion questions and conversation activities about graffiti, art, and stereotypes. Students also learn some important vocabulary terms related to this topic. The grammar exercises feature the present continuous vs present simple, expressions with make vs take, and the difference between 'be' and 'get' in the passive voice. In the cooperation activity students can create profiles, interviews, or guides. 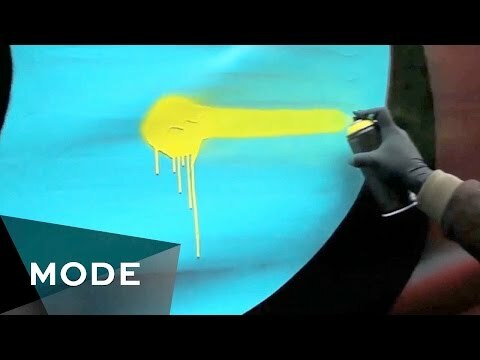 There can often be some hard stereotypes against graffiti artists, but Boris from Bulgaria isn’t afraid to break these stereotypes and express his artistic freedom through the spray can. In these ESL lesson plans for adults and teens, students watch a video and do a listening exercise about a couple who lives on a bus. It includes discussion questions and conversation activities about simple living and alternative lifestyles. Students also learn some important vocabulary terms related to this topic. The grammar exercises feature countable & uncountable nouns and adjective endings (-ed / -ing). In the cooperation activity students create tips, funny interviews, solve problems, or make headlines. With the increasing cost of living in big cities like Chicago, young professionals are looking for alternative living solutions that can save them money and provide them a simpler way of life. 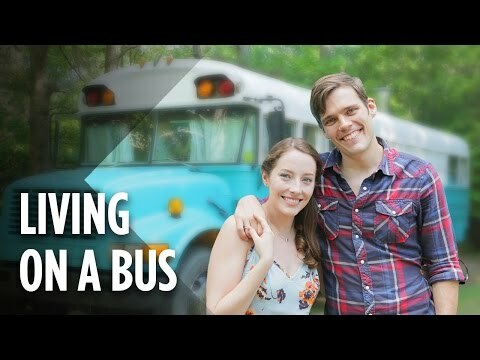 Andy and Julie did exactly that and turned an old school bus into their home. In these ESL lesson plans for adults and teens, students watch a video and do a listening exercise about two mushroom hunting fanatics. It includes discussion questions and conversation activities about mushrooms and mushroom hunting. Students also learn some important vocabulary terms related to this topic. The grammar exercises feature the difference between there are vs there is and prefixes. In the cooperation activity students make up a dream or plan a trip. 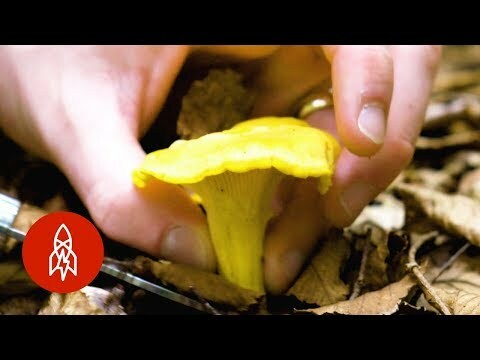 Two big-time mushroom fanatics show you what it’s like to be a real mushroom hunter! This guy actually has dreams about wild mushrooms and describes the experience of mushroom picking as an unbelievable rush. Perhaps your students are from a mushroom picking culture?